Sometimes when I read about the life of prayer some people live or have lived, I feel like such a slouch. 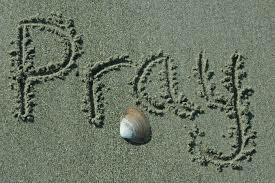 Paul, the apostle, mentions several times in his letters to the churches specifically how he prays for them. I believe this may be how I can pray for others, but also how I can pray God’s will into my own life. I certainly need love, strength, spiritual wisdom, and discernment of his will. Here are a few of the ways Paul prayed for those he loved so much. “I pray that your hearts will be flooded with light so that you can understand the confident hope he has given to those he called—his holy people who are his rich and glorious inheritance. I also pray that you will understand the incredible greatness of God’s power for us who believe him. This is the same mighty power that raised Christ from the dead and seated him in the place of honor at God’s right hand in the heavenly realms” (Ephesians 1:18-20). “I pray that your love will overflow more and more, and that you will keep on growing in knowledge and understanding. For I want you to understand what really matters, so that you may live pure and blameless lives until the day of Christ’s return. May you always be filled with the fruit of your salvation—the righteous character produced in your life by Jesus Christ—for this will bring much glory and praise to God” (Philippians 1:9-11). “So we have not stopped praying for you since we first heard about you. We ask God to give you complete knowledge of his will and to give you spiritual wisdom and understanding. Then the way you live will always honor and please the Lord, and your lives will produce every kind of good fruit. All the while, you will grow as you learn to know God better and better. We also pray that you will be strengthened with all his glorious power so you will have all the endurance and patience you need. May you be filled with joy, always thanking the Father. He has enabled you to share in the inheritance that belongs to his people, who live in the light” (Colossians 1:9-12). “This, then, is how you should pray: ‘Our Father in heaven, hallowed be your name, your kingdom come, your will be done, on earth as it is in heaven. Give us today our daily bread. And forgive us our debts, as we also have forgiven our debtors. And lead us not into temptation, but deliver us from the evil one’” (Matthew 6:9-13). Would you be willing to pray for others and yourself the way Paul did? Heavenly Father, please give me patience with myself when it comes to prayer, while also opening my heart and mind to hear you more clearly. You speak but I’m sometimes chattering away. Give me words to worship you, pour out my heart to you, and stand in the gap for others. Teach me to pray so that I can become more spiritually mature. Give me insight into your hopes for me and help me to keep things simple. Instead of guests in the temple of my body as I go to God in prayer, these rabbit trails are more like intruders. Do you see the problem I have? I’d like to be a great example and be one of those people who can pray for extended periods and nothing gets in the way. At this point in my walk with God, however, I’m just not. As I said, I do have times when I enjoy a lengthy period of prayer. Occasions happen when I actually lose track of time in the morning and nearly make myself late for appointments. But as someone with the attention span of a spider monkey, I want to do this more often. Well, not the ‘late’ part. Maybe you can relate and would like to do it too. Reading and studying scripture is no problem for me; I eat it right up. 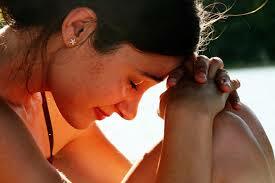 And I’ve noticed that when Paul wrote his epistles, he would even include prayers in them. The man thought of everything. I would never think to write out a prayer for someone in a letter. But how blessed those people must have felt when they read them. They were also the kind of prayers with some meat to them because most of the time he prayed for their spiritual maturity or to know Christ more. It’s been said that the first step in solving a problem is admitting you have one. Well, here I am—God and everyone can know right here. (Okay, God already knew.) I’m thinking the solution must be somewhere in his Word. What occurs to me first is what most people refer to as the Lord’s Prayer. The model prayer Jesus gave his disciples would be better called This Particular Disciple’s Prayer. First, I worship and acknowledge the Lord for who he is. Next, I pray that his will—not mine—is done in all things. (By the way, if I truly want to pray God’s will, acknowledging who he is right off is pretty important. Honest worship takes the focus off me.) Then, I pray for only today’s needs because “tomorrow will worry about itself.” (Matthew 6:34) Acknowledging his forgiveness to me and praying for the willingness to forgive others as I’m forgiven is what I take up next with God. Then, because evil is everywhere, I pray to be delivered from temptation. Some folks might ask, “What about praying for others’ needs and what about this or that or that other thing?” Good call. I agree that we are to stand strong; put on our armor. Pray for others—believers and unbelievers alike. Those we love. Our enemies as well. That’s scriptural too. Lord, you know all things. You know me better than I know myself. I am a scatterbrain sometimes. When I sit down to enjoy prayer time with you and meet you to meditate on your word, help me to focus on only our time together. Help me to clear the clutter from my mind and heart as I would clear the clutter from my home. Please also help all those who come to you today to lean in to you and trust you. Allow them to know that you hear their prayers. Remind us that your Spirit speaks for us when we don’t know how to pray and that your Son is always interceding on our behalf. Thank you for your mercy and love. In Christ’s name, amen.